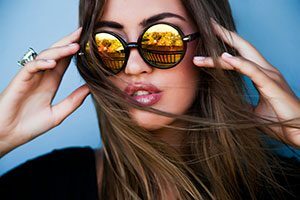 Eye Care Associates offers a wide variety of sunglass options in Houston, TX, to suit many lifestyles, such as sports enthusiasts and others who enjoy outdoor activities and fun in the sun. There are plenty of affordable sunglasses in a range of prices that still offer proper eye protection. Here at Eye Care Associates, we can help you with your sunglasses needs. We offer prescription sunglasses so you can see clearly while still protecting your eyes. We also offer lenses that will darken when you are outside so that you can see better. If you have any questions or would like to look at our sunglasses options, don’t hesitate to contact us today at (713) 621-9001. Make comfort a priority and get a clear view of the road during the height of any season when you choose our practice for eye care. A good pair of sunglasses is more than just a fashionable accessory for the summertime. They protect your eyes now and over time. When you are out on the roadways during the middle of the day, the sun’s rays can keep you from seeing a foreign object in your path. Over time, extended exposure to UV rays can lead to a host of eye conditions, including cataracts. You need a pair of glasses capable of blocking UV rays and other damaging segments of the spectrum. If your lenses are incapable of shielding you from blue light, you could develop macular degeneration in later years. Let us help protect your vision. If you wear corrective lenses, switching between your glasses and a store-bought pair of shades can prove awkward and complicated. Our professionals can identify a pair of proper fitting sunglasses for you and every member of your family. Choose a stunning pair of sunglasses for outdoor activities and purchase another pair for the workday. Anyone who spends hours staring at screens needs a pair of glasses designed for that level of eye strain. Get fitted for computer vision glasses today. Contact us today to find the right pair of glasses shades that can protect your eyes from the sun. We proudly serve customers in Houston, Texas, and surrounding communities.